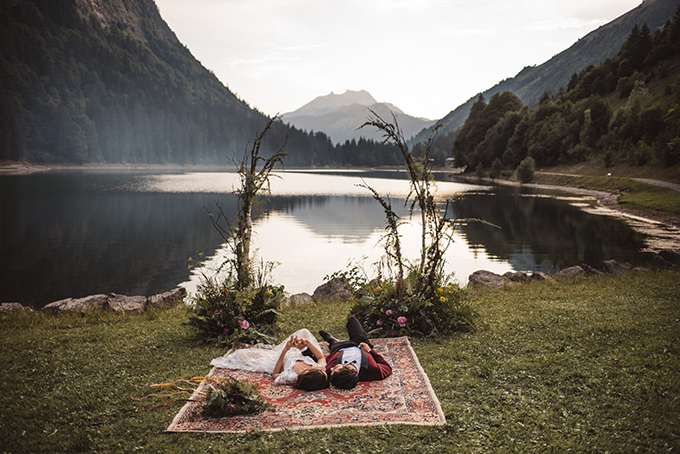 A lakeside elopement in the French Alps? Yes, please! 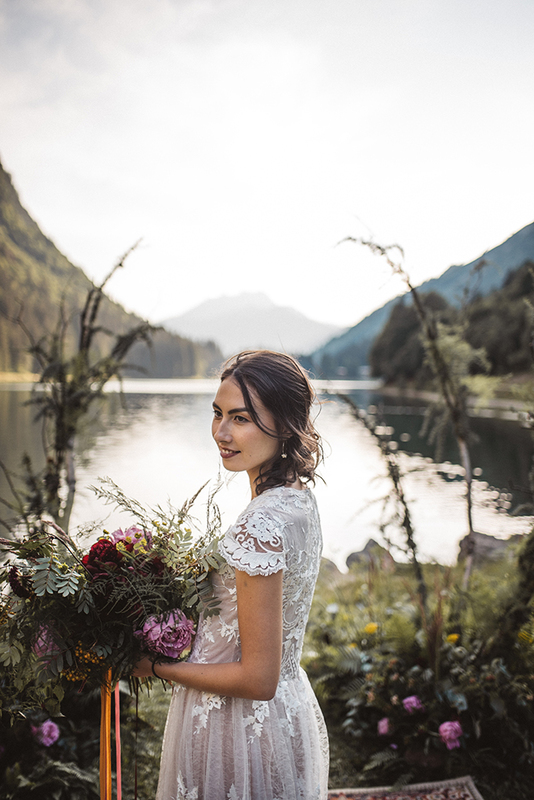 This beautiful shoot from Katja & Simon is a boho lovers dream, let’s dive in! 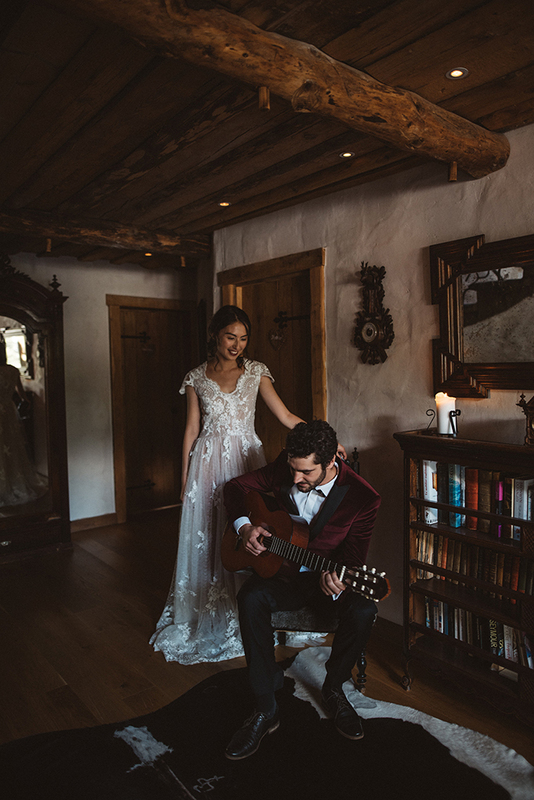 For this boho/folk shoot, the stylists wanted to combine modernity with the authenticity and the class of a traditional French wedding. 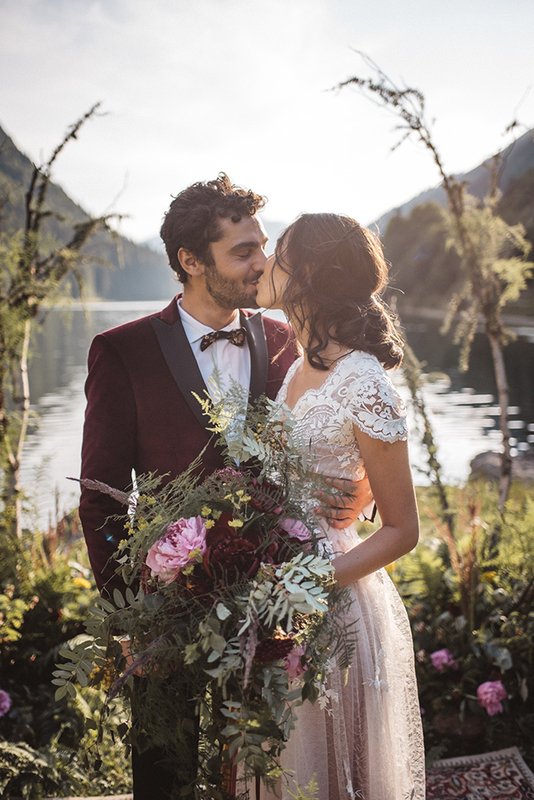 Nature was the original inspiration: the rocky landscape, the berries’ colors, the stunning view by the lake, the wooden chalet where cozy meets wild. 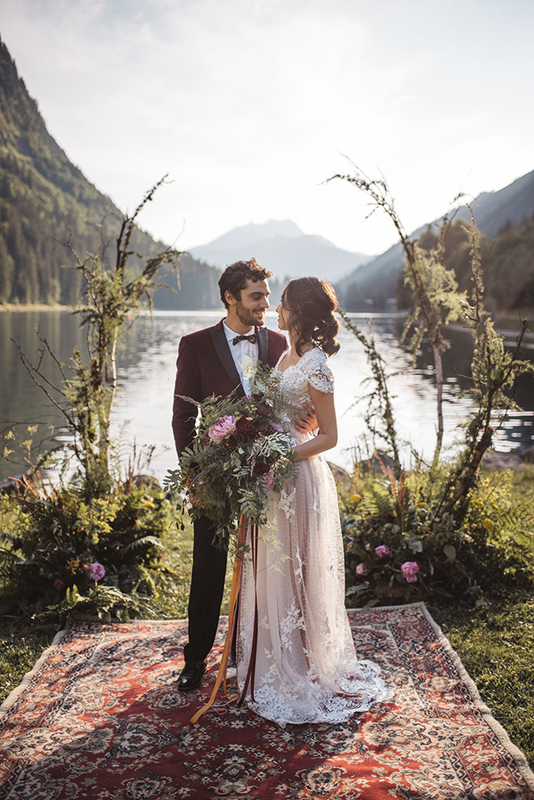 From the champagne cocktails to the rustic wedding cake or the boho ceremony by the lake, the beautiful couple of lovers had the perfect wedding day. 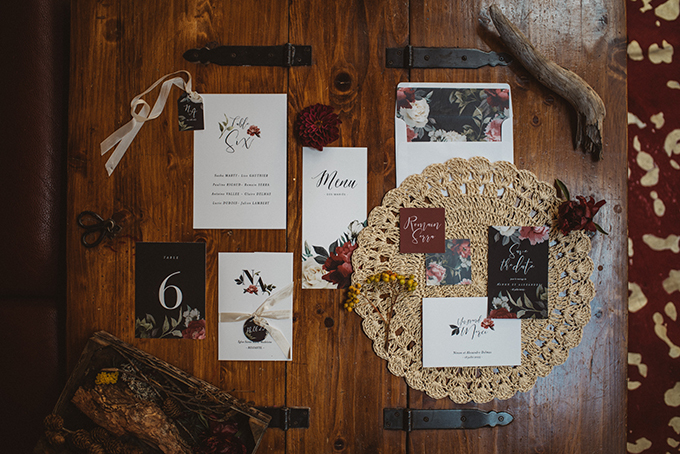 The team included a lot of local greenery to the flower arrangements. 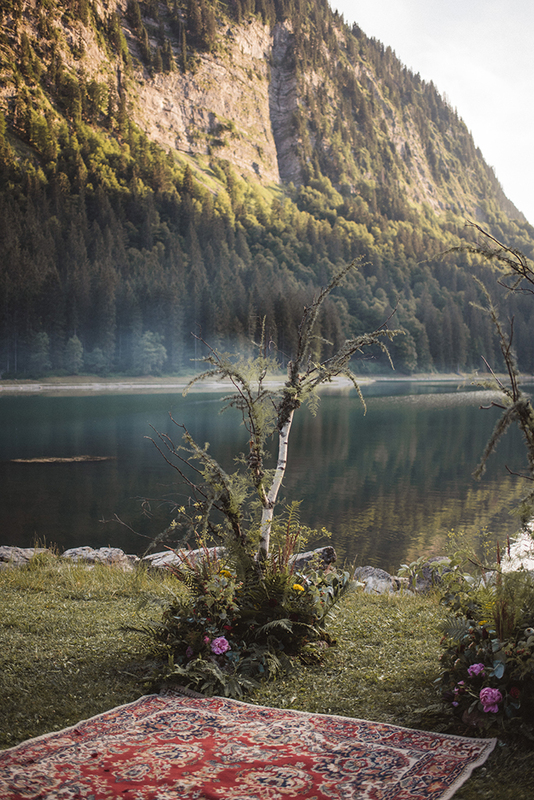 The most interesting design is probably the ceremony arch at the lake, made of birch branches found in the woods, combined with a lot of wild greenery and even branches of raspberries at the bottom. The bride was wearing a romantic lace A-line wedding dress with cap sleeves and a wavy half updo. 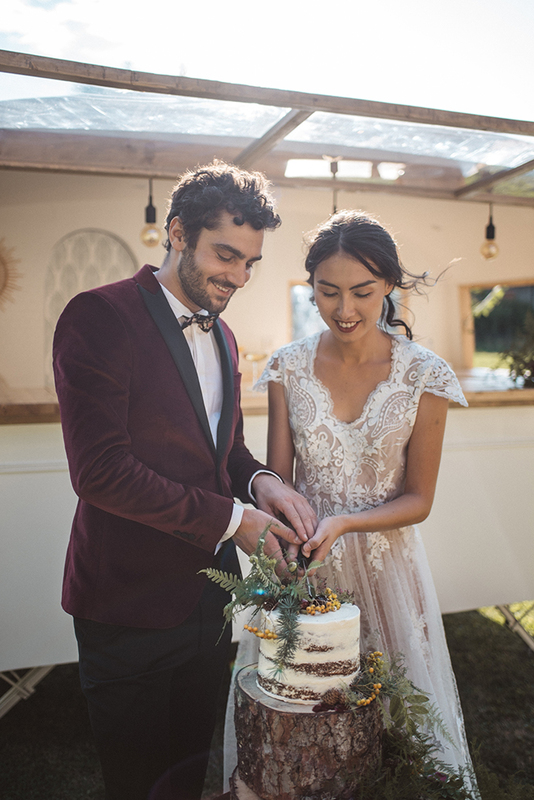 The groom was wearing a burgundy velvet tux with black lapels. 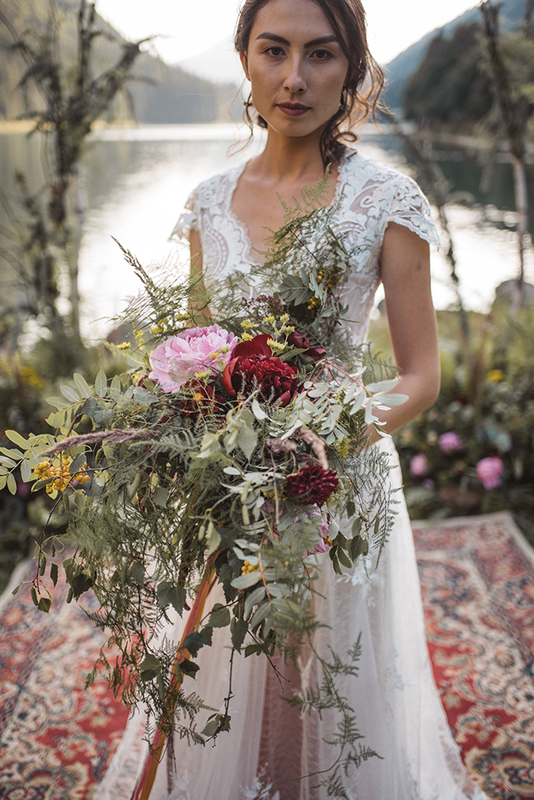 The bouquet is wild and big, with big red flowers to add a bit of color. 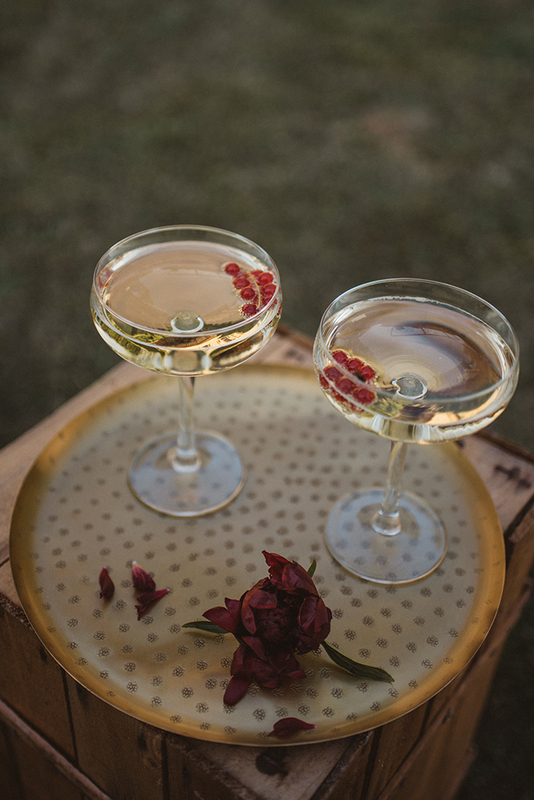 The couple went to a car to have some champagne with berries floating and to cut the wedding cake. the cake was a naked one, topped with greenery, berries and pinecones for a wild feel. 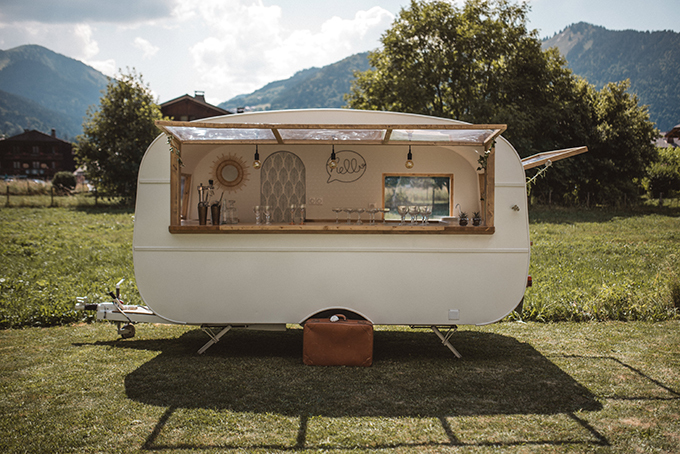 Take a look at the pics below and get inspired!